The man accused of fatally shooting two police officers and two civilians in Fredericton in August interrupts his court proceedings to proclaim his innocence citing temporary insanity. 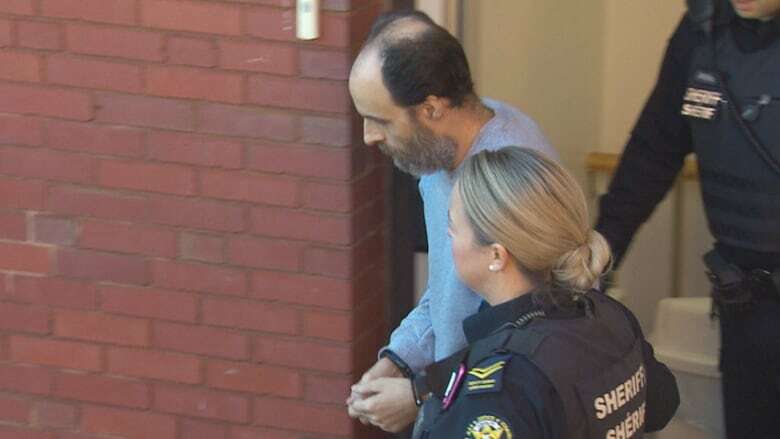 The man accused of killing two police officers and two civilians in a shooting spree in Fredericton in August interrupted his court proceedings Monday to proclaim his innocence citing temporary insanity. Matthew Vincent Raymond, 48, appeared in provincial court with his lawyer, who said he's still awaiting some disclosure from the Crown and needs more time to review the material. While his lawyer was speaking to Judge Julian Dickson, Raymond told the court from the prisoner's box that he had something important to say. "I have enough evidence to totally exonerate me," he said. "I am not guilty by reason of temporary insanity." 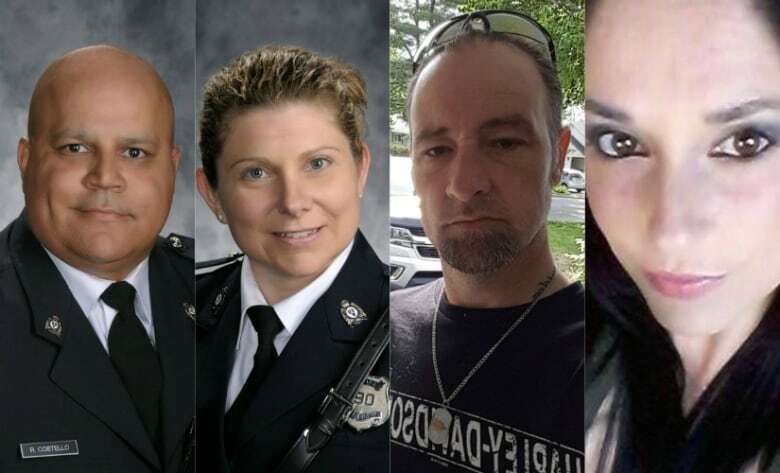 Raymond is charged with four counts of first-degree murder in the Aug. 10 deaths of constables Robb Costello, 45, and Sara Burns, 43, of the Fredericton Police Force, and civilians Donnie Robichaud, 42, and Bobbie Lee Wright, 32. Police have said all four were hit by bullets from a long gun fired from the third storey of an apartment building on Brookside Drive on the city's north side. Raymond has not yet entered any pleas or elected his mode of trial. "This has to be settled now so I will be exonerated today," Raymond told the judge on Monday. "I shouldn't have even been in prison at all," he said, as Robichaud's ex-wife cried and some other people in the courtroom muttered, prompting a sheriff's deputy to tell them to be quiet. "I am innocent due to temporary insanity." Const. Lawrence Robert (Robb) Costello, 45, and Const. Sara Mae Helen Burns, 43, Donald Adam Robichaud, 42, and Bobbie Lee Wright, 32, were all gunned down outside a Fredericton apartment complex on Aug. 10. Raymond said he's being "harassed" in prison. "I have people in jail threatening to kill me, to cut my head off," he told the court. He also complained about his clothing, saying he's been wearing the same prison-issued orange jumpsuit and grey sweatshirt for every court appearance. "This is a violation of my rights," he said. "This has to be ended right here." "I understand your frustration," the judge replied, explaining the process takes time. "You will certainly have the opportunity, sir, to pursue every possible defence, but today is not the day," Dickson said, telling Raymond to take his seat. Defence lawyer Nathan Gorham told the court he has received a "good chunk" of the disclosure. The "voluminous package" includes statements from witnesses, statements Raymond gave to police, and police officers' notes, he said. The outstanding material includes "a whole bunch" of photographs from inside the apartment and the results of forensic examinations of computers and hard drives found in the apartment. The matter has been adjourned until Oct. 29 to set a date for a preliminary hearing.